Imagine for a moment an LSAT test-taker’s worst nightmare. You’ve just sat down on test day. Suddenly, you realize just how real things are getting. The proctor is reading instructions. Other nervous students around you are silently staring into space with anxiously furrowed brows. You start to sweat. Your ears ring so loudly you can barely hear the proctors anymore. Your hands begin to shake so furiously that you can barely bubble in your name. And this is just the beginning! I’ll stop right there. The point is, I’m sure no one on Earth wants to experience nerves as badly as this. You’ve come so far with your preparations. But what can you do to prevent seemingly uncontrollable anxiety? Take a look at this straightforward guide to handling LSAT anxiety. What might I mean about that? Well, one of the best ways to reduce LSAT anxiety is to feel prepared. If you feel confident that you’ve put in enough work to feel prepared for the test, you’ll likely have less reason to feel anxious. And you’ll have even more concrete reasons why you should be feeling calm and confident. What does it mean to be prepared? 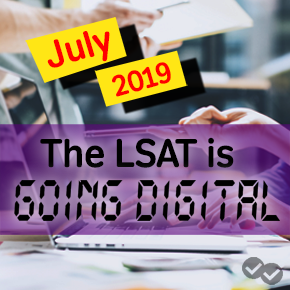 Firstly, you should know at least the most basic information about the LSAT. Like, how many sections are on the LSAT? (Five). What are they? (Reading Comprehension, Logical Reasoning, Analytical Reasoning/Logic Games). And all the fundamental techniques that come with preparing to tackle those sections! Coming prepared with all of the materials you’ll need for the test, including your clear Ziploc bag, number two pencils, sharpener, and most importantly–your watch! Finally, to handle LSAT anxiety, learn some relaxation techniques you can use when you feel physical symptoms flaring up. Find a calm role model–another student in the room who looks relaxed. Assure yourself that you can feel just as calm as they do. With this advice, you should be well on your way to performing at your peak level on the LSAT. Good luck, and remember to breath! 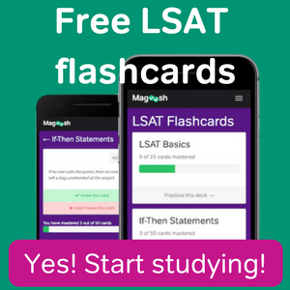 Why is the LSAT Paper-Based? Deep breathing is really good advice. When I took the test, I would put my pencil down and just breathe for a few seconds if i got overly stressed. It made a big difference in my ability to focus.